Microbes can utilize hydrocarbons via oxidation as an energy source. Microbes can use many different carbon sources for energy. The best known and perhaps most common example is glucose. Microbes can utilize hydrocarbons via a stepwise oxidation of a hydrocarbon by oxygen produces water and, successively, an alcohol, an aldehyde or a ketone, a carboxylic acid, and then a peroxide. Note the presence of oxygen, thus defining this as aerobic hydrocarbon oxidation. There are examples of anaerobic hydrocarbon oxidation, which will not be discussed here. This is of special interest as many of the environment pollutants released by human industry are often hydrocarbon based. One of the best examples is oil spills. Understanding how microbes digest hydrocarbons has started the field of microbial biodegradation, a type of bioremediation. The goal of this is to find ways of using microbes to degrade hydrocarbon spills or waste into less dangerous byproducts such as alcohol. Hydrocarbon utilizing microorganisms, mostly Cladosporium resinae and Pseudomonas aeruginosa, colloquially known as “HUM bugs,” are commonly present in jet fuel. They live in the water-fuel interface of the water droplets, form dark black/brown/green, gel-like mats, and cause microbial corrosion to plastic and rubber parts of the aircraft fuel system by consuming them, and to the metal parts by the means of their acidic metabolic products. They are also incorrectly called algae due to their appearance. FSII, which is added to the fuel, acts as a growth retardant for them. There are about 250 kinds of bacteria that can live in jet fuel, but fewer than a dozen are meaningfully harmful. 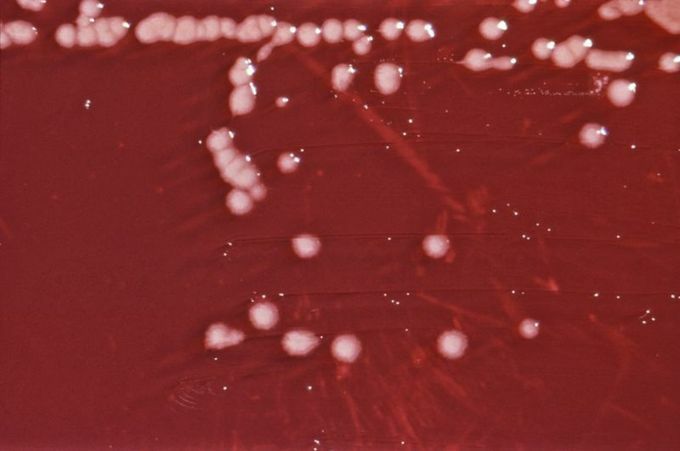 Pseudomonas aeruginosa: P. aeruginosa is capable of growth in diesel and jet fuel, where it is known as a hydrocarbon-using microorganism (or “HUM bug”), causing microbial corrosion. It creates dark, gellish mats sometimes improperly called “algae” because of their appearance. Biosurfactants are surface-active substances synthesized by living cells. Interest in microbial surfactants has been steadily increasing in recent years due to their diversity, environmentally friendly nature, possibility of large-scale production, selectivity, performance under extreme conditions, and potential applications in environmental protection. Biosurfactants enhance the emulsification of hydrocarbons, have the potential to solubilize hydrocarbon contaminants, and increase their availability for microbial degradation. The use of chemicals for the treatment of a hydrocarbon polluted site may contaminate the environment with their by-products, whereas biological treatment may efficiently destroy pollutants, while being biodegradable themselves. Therefore, biosurfactant-producing microorganisms may play an important role in the accelerated bioremediation of hydrocarbon-contaminated sites. These compounds can also be used in enhanced oil recovery and may be considered for other potential applications in environmental protection. Other applications include herbicides and pesticides formulations, detergents, healthcare and cosmetics, pulp and paper, coal, textiles, ceramic processing and food industries, uranium ore-processing, and mechanical dewatering of peat. Several microorganisms are known to synthesize surface-active agents; most of them are bacteria and yeasts. When grown on hydrocarbon substrate as the carbon source, these microorganisms synthesize a wide range of chemicals with surface activity, such as glycolipid, phospholipid, and others. These chemicals are synthesized to emulsify the hydrocarbon substrate and facilitate its transport into the cells. In some bacterial species such as Pseudomonas aeruginosa, biosurfactants are also involved in a group motility behavior called swarming motility. Microbes in aerobic conditions can use hydrocarbons via oxidation of the hydrocarbon. This leads to byproducts such as water, alcohol, and peroxide. Many hydrocarbons are environmentally damaging, thus the break down of hydrocarbons by microbes is of special interest. HUM bugs can function as biosurfactants to facilitate the emulsification of hydrocarbons. hydrocarbon: A compound consisting only of carbon and hydrogen atoms. biosurfactant: Surface-active substances synthesized by living cells. bioremediation: The use of biological organisms, usually microorganisms, to remove contaminants, especially from polluted water.